This Is For The Hustlers: Dj Cue - Who's On First? 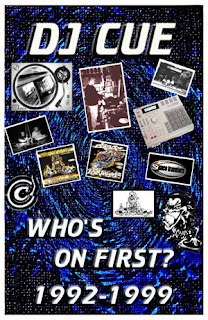 Dj Cue - Who's On First? A classic mix tape from one of the most underrated dj's from the Bay Area. Cue is a member of the Bullet Proof Scratch Hamsters and helped co-create the first dj battle record, and is also responsible for the classic Cue's Hip Hop Compilation which can be found here.